I have written a number of articles exploring the usage and some of the cool tricks that the vSphere Guest Operations (GuestOps) feature provides which you can be found here, here, here and here. I have been a huge fan and supporter of GuestOps since the early days where it was formally known as the VIX API. Having used GuestOps across many different GuestOS types including Nested ESXi, I have to admit, I had never tried it against an Apple macOS guests. 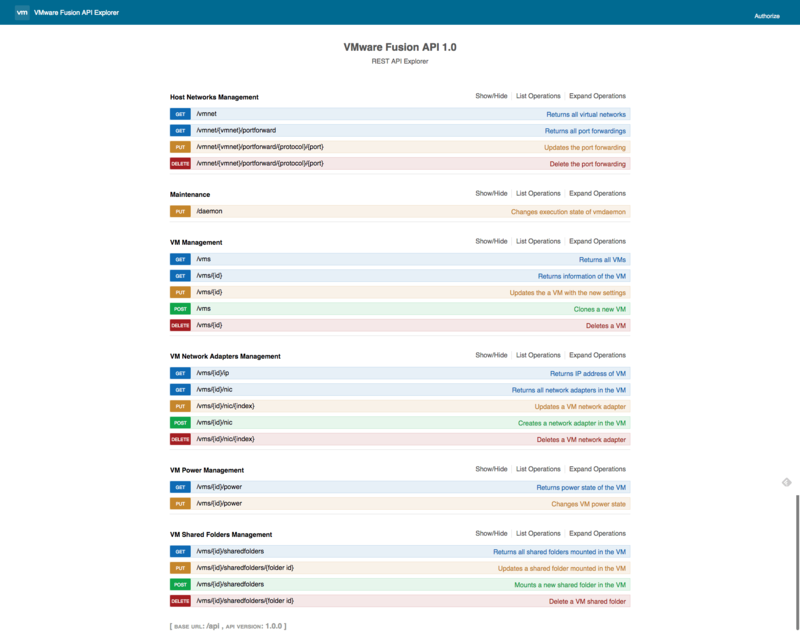 I recently had a customer reach out who was looking to use the GuestOps API via PowerCLI (Invoke-VMScript) to automate updates against his guestOS templates that span across Windows, Linux and macOS (from 10.7 to latest). The customer was able to get all guestOSes working except for macOS. Reaching out to Engineering regarding the problem, I came to learn that this particular issue was due to a syscall change made by Apple starting with macOS 10.10.3 and newer. Although the change was a positive thing from a security standpoint, it did break the GuestOps functionality. The good news was that this was already resolved with VMware Tools 10.1 or later. When I had initially provisioned the macOS guests, the latest VMware Tools at the time was 9.10.5. After I applied the latest version which is currently 10.1.7, the issue went away and I was able to successfully use the GuestOps API on my macOS guests. Below are examples of running the system_profiler SPSoftwareDataType command using both the Invoke-VMScript cmdlet as well as the vSphere API and PowerCLI to consume the GuestOps APIs. Both approaches delivers the exact same outcome, the one benefit of using Invoke-VMScript is that if you want to easily return output from a given command, the cmdlet already does the heavy lifting. If you notice in the native vSphere API case, you do not get output but rather just the PID ID. If you want to return the output, you need to first save it into a file and then download the file to your client system, which may not be ideal for interactive usage but it all depends on your use case. [Read more...] about Using vSphere Guest Operations API on macOS Guests? 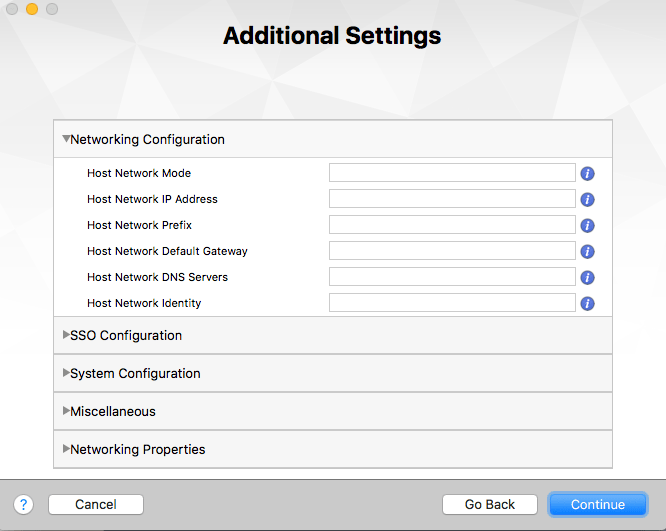 Last week I published an article that demonstrated for the first time on how to netboot an ESXi installation onto Apple Mac Hardware. As you can imagine, this was very exciting news for our VMware/Apple customers, who historically have not had this capability before. Customers can now automate and install ESXi over the network onto their Apple Mac Hardware just like you would for other non-Apple hardware. 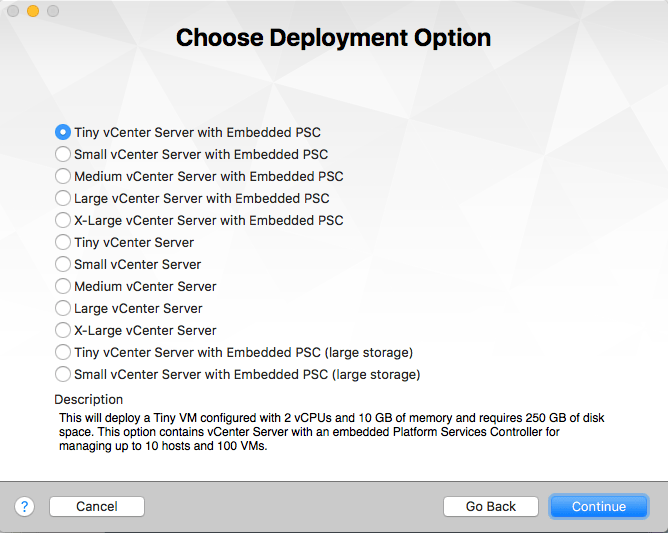 With the ability to boot ESXi over the network for Apple Mac Hardware, it is now also possible for customers to take advantage of the vSphere Auto Deploy feature. Auto Deploy allows customers to easily and quickly provision ESXi hosts at scale and integrates directly with vCenter Server to automatically join and apply specific defined host configuration policies. 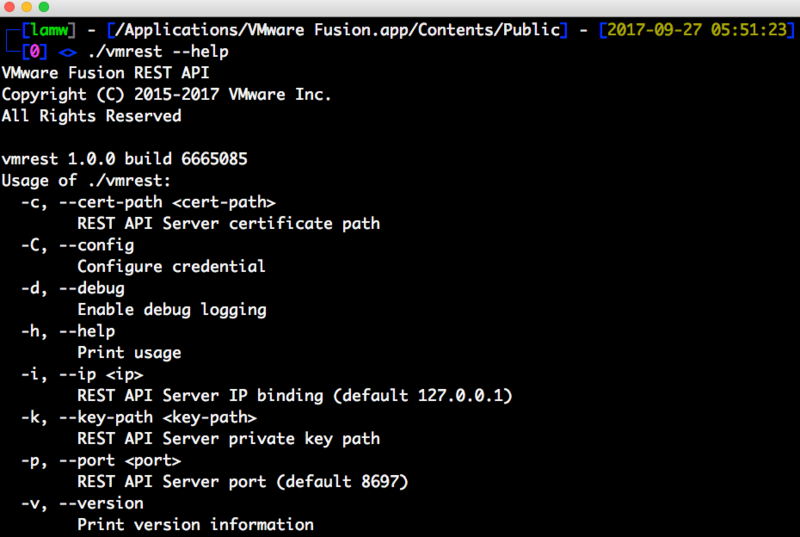 This is a great time to check out Auto Deploy, especially with all the new enhancements that were introduced in vSphere 6.5 like custom script bundles for example. Below are the instructions on how to setup Auto Deploy to work with Apple Mac Hardware. The ability to perform an ESXi Scripted Installation over the network has been a basic capability for non-Apple hardware customers since the initial release of classic ESX. However, for customers who run ESXi on Apple Mac Hardware (first introduced in vSphere 5.0), being able to remotely boot and install ESXi over the network has not been possible and customers could only dream of this capability which many of us have probably taken for granted. Unlike traditional scripted network installations which commonly uses Preboot eXecution Environment (PXE), Apple Mac Hardware actually uses its own developed Boot Service Discover Protocol (BSDP) which ESXi and other OSses do not support. In addition, there are very few DHCP servers that even support BSDP (at least this may have been true 4 years ago when I had initially inquired about this topic). It was expected that if you were going to Netboot (equivalent of PXE/Kickstart in the Apple world) a server that you would be running a Mac OS X system. Even if you had set this up, a Netboot installation was wildly different from a traditional PXE installation and it would be pretty difficult to near impossible to get it working with an ESXi image. With no real viable solution over the years, it was believed that a Netboot installation of ESXi onto Mac Hardware just may not be possible. [Read more...] about How to Netboot install ESXi onto Apple Mac Hardware? I know several of you have reached out asking about the support for ESXi 6.5 on the Apple Mac Pro 6,1 but as of right now, the Mac Pro 6,1 is currently not supported with ESXi 6.5. I know this is not ideal especially for customers who wish to take advantage of the latest vSphere release. The good news is that VMware is in the process of testing the Apple Mac Pro 6,1 for ESXi 6.5, however there is not an ETA on when this will be completed by. Some of you might be wondering why this did not happen earlier? The primary reason is that hardware certification for ESXi is actually performed by the hardware vendors. Once a vendor completes the certification for a particular hardware platform or component, they submit the results to VMware and the VMware HCL is updated. If there is a piece of hardware that is not on the VMware HCL today, it is definitely worth reaching out to your hardware vendor to inquire about its status. In Apple's case, it unfortunate as they do not participate in VMware's Hardware Certification program for ESXi which makes certification challenging. VMware intends to continue to support customers who require the use of Mac OS X Virtualization and will work towards getting the Mac Pro's certified for latest version of vSphere as mentioned earlier. Historically, testing and certifying ESXi for Apple hardware does take an additional amount of time and in some cases, code changes may even be required due to unexpected hardware changes from Apple. I hope this gives customers some additional insights into how Apple hardware is certified for ESXi. If you would like to see this improved in the future, you may want to reach out to Apple and provide them with your feedback. UPDATE (07/28/2017) - ESXi 6.5 Update 1 just GA'ed yesterday and is fully supported with all current Apple Mac Pro 6,1 (as you can see on the HCL here) and the workaround mentioned below is no longer required. This means you can install ESXi without any modification to the image. UPDATE (03/25/2017) - VMware has just published the following VMware KB 2149537 which outlines the officially recommended workaround to install ESXi 6.5 onto the Apple Mac Pro 6,1. The VMware HCL has also been updated to include the Apple Mac Pro 6,1 4-Core, 6-Core, 8-Core & 12-Core systems. In a future release of ESXi, the workaround will not be required and ESXi will just install out of the box. This temporarily workaround is to enable customers who wish to run the current version of ESXi 6.5 which includes GA release, 6.5a and 6.5p01.